Fat and Happy Food Blog Tips and Techniques: Chat Masala is an Indian spice mix that has both a sweet and slightly sour taste; it's often sprinkled on fruit, snacks or street food. Dried mango powder helps to give it a bright edge that is perfect on a simple food like popcorn. Follow the directions below for popping corn on the stove (or use your preferred popcorn method) and then choose your flavor. Drizzle, grate, shake and salt. Serve with plenty of napkins! 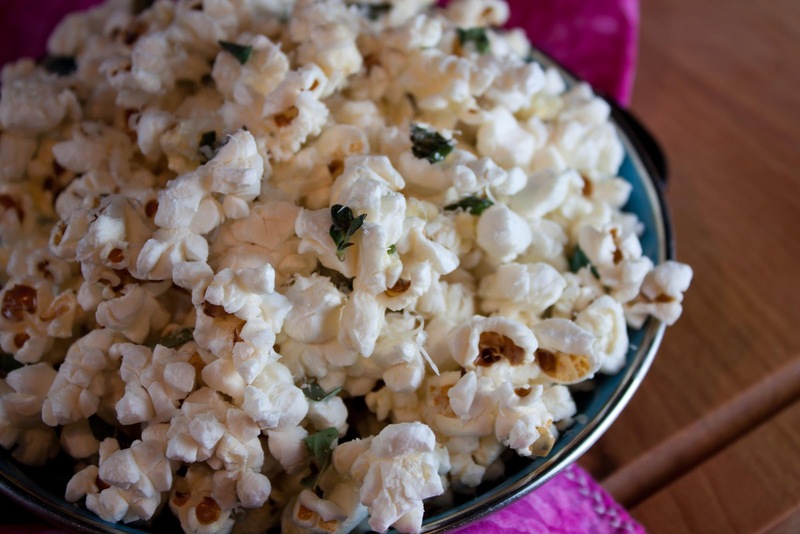 Add the popcorn, grated Parmesan, oregano and butter to a brown bag or large bowl and shake or toss well. Salt as needed (the cheese and butter are salty by nature, so you may not need much salt.) Serve immediately. Add the ingredients, except the salt, to a brown bag or large bowl and shake or toss well. Salt as needed and then serve immediately. Pour the oil into a deep pan that has a lid, and set over medium-high heat. Choose a pot without a coating for best results. Add the popcorn into the pot, cover with the lid, shake every so often to keep the kernels from burning. When you start to hear the popping, shake the pot and crack the lid to help moisture escape. 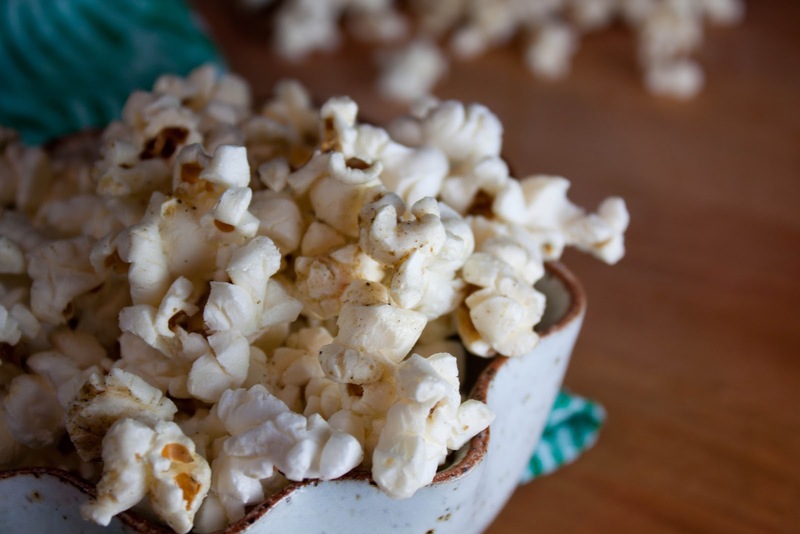 Some kernels may fly out of the pot, but this will keep the popcorn from getting soggy. Lift the pan above the heat and shake, return pot to the heat. 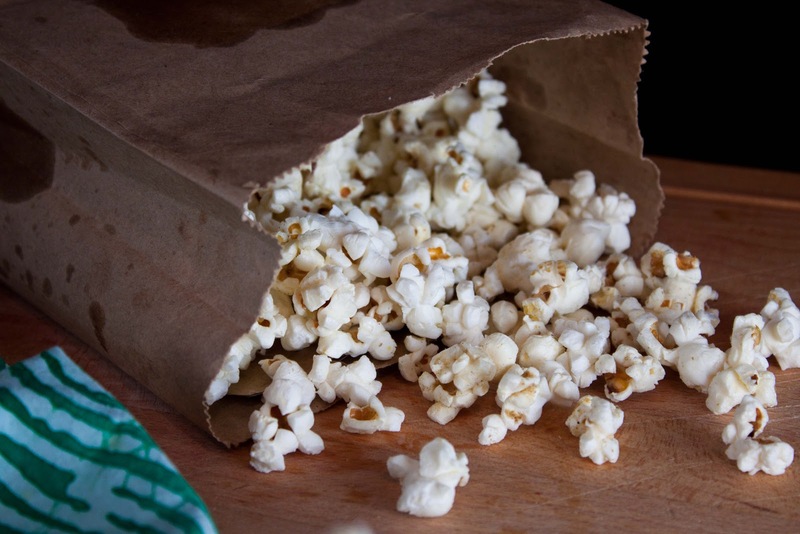 Continue until the popping stops and you don't hear kernels rattling on the bottom. Pour out of the pan and flavor with your preferred choices above. Fat and Happy Food Blog Tips and Techniques: When using the stove top method of popping fresh corn, start with cool pan. Try running it under cool water before setting it on the heat. If you are popping two batches, be sure sure use this method to cool the pan down before you pop the second batch.